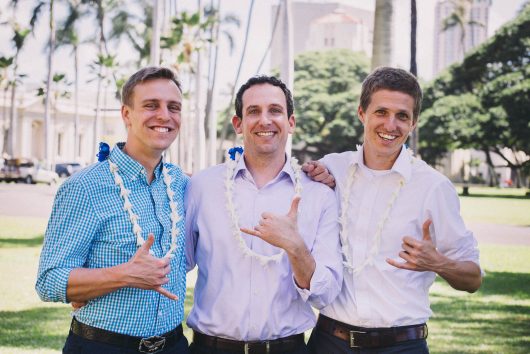 The Hawaii-based incubator Energy Excelerator helps startups expand in a promising market. With strong demand for distributed generation, Hawaii is an ideal place for cleantech startups to test their ideas -- if they can get traction. 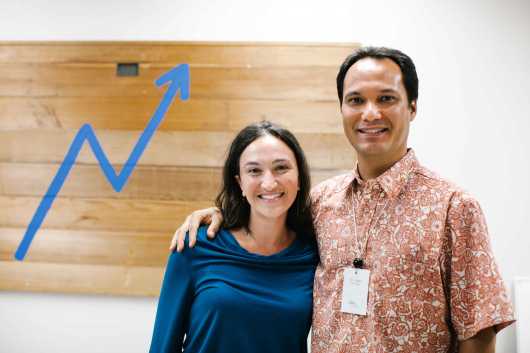 Enter Energy Excelerator, a Hawaii-based nonprofit designed to help startups find their way into the island state's dynamic energy market. High electricity prices have made solar -- and increasingly, battery storage -- very competitive with the grid. That has influenced political change as well. In June, Hawaiian lawmakers sent a strong market signal by setting a target to get 100 percent of the state’s electricity from renewable sources by 2045. Hawaii also has a number of eager customers, including the Department of Defense, which is looking to support innovative energy technologies that could give it a strategic advantage while saving on energy costs. The state’s utilities are also looking for ways to improve grid reliability and expand the adoption of renewable energy -- a point of concern in NextEra Energy’s proposed acquisition of Hawaiian Electric. EEx has two distinct tracks. In the “go-to-market” track, early-stage companies receive $75,000 to develop their business model, find their first customers and better understand the Asia-Pacific energy market. In the “demonstration track,” companies that already have a scalable business model and customer traction receive up to $1 million to pilot new products or strategies in Hawaii and the Asia-Pacific Rim region. “The idea behind Energy Excelerator is to use Hawaii as a test market where companies can demonstrate their technology, test their business model, and come down the cost curve so they can scale elsewhere,” said Lippert. Since its launch in January 2013, the incubator has funded 32 startups with the help of sponsors, including a $30 million investment from the Navy’s Office of Naval Research. The DOD has a huge demand for new technologies to help meet its energy needs, especially in the Asia-Pacific region, where it can be extremely costly to power remote bases. But the desire for alternative low-cost energy sources isn't unique to the military. Commercial and residential customers in Hawaii -- and increasingly, throughout the country -- are also looking for improved reliability and lower energy bills. And, like the military, they’re running into challenges around grid interconnection and project economics. EEx has formed strategic partnerships with several public and private entities in addition to the DOD, including the U.S. Department of Energy, DENSO, MathWorks and Hawaiian Electric Industries (HEI). HEI committed $250,000 to the nonprofit in 2013. The utility has also opened its doors to startups, giving them the opportunity to integrate new technologies on the grid. Last week, GE Ventures became the newest member of the EEx advisory board, which includes a funding commitment (the amount of which was not disclosed) in exchange for a view into new technologies being developed by startups. General Electric’s corporate venture arm has invested in 72 companies since it launched two years ago, 32 of which are in energy. One of those companies is Stem, a leading startup in distributed storage and a member of EEx’s 2014 demonstration track cohort. 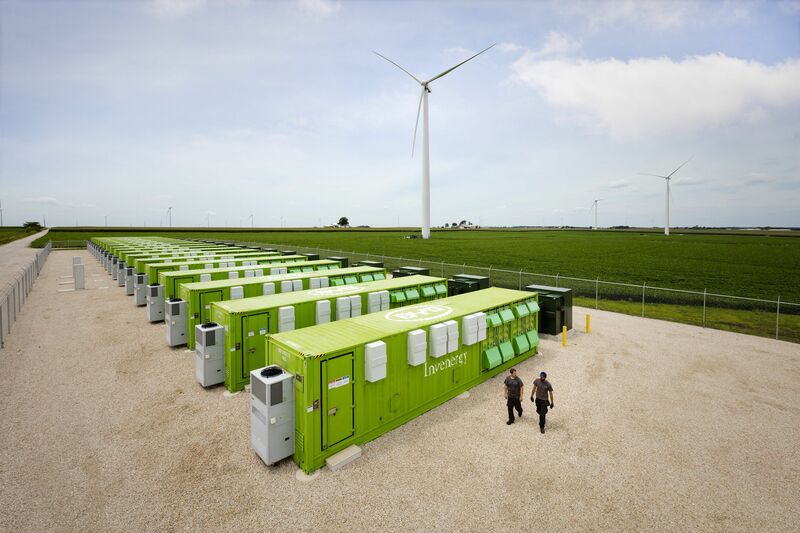 Stem is currently working to deploy 1 megawatt of behind-the-meter energy storage on 20 buildings in HEI territory, leveraging analytics to balance the grid while also saving customers up to 20 percent on their energy bills. Last year, Stem saw its biggest win to date with an 85-megawatt procurement from Southern California Edison. Bidgely, which received a $900,000 grant from EEx, has also seen rapid growth. The energy disaggregation startup announced a new set of products earlier this year that allow utilities to better connect with their customers by offering appliance-level insight into energy use. Bidgely is currently rolling out products with TXU Energy and London Hydro, as well as in Hawaii. Stem and Bidgely are not alone. There are several other companies gaining traction in Hawaii and around the country through their work with EEx. Here are five of them. Denver-based Rebound Technologies is creating a novel refrigeration cycle that CEO Kevin Davis says can save commercial users up to 60 percent on their freezer operating costs. Rebound’s IcePoint technology is targeted for supermarket freezers. It works by making ice during off-peak hours -- which in most states is at night, but in Hawaii could be during the day when there’s a surplus of solar on the grid -- and then uses the ice to cool systems at times of peak demand. There are other companies like Ice Energy and Axiom Exergy that also make ice to cool systems as a form of energy storage. What sets Rebound apart is that it doesn’t use a compressor, which has to run constantly to keep a freezer cool. Instead, IcePoint generates ice during off-peak hours, then uses a freeze suppressant (ethanol, in this case) to create a -30 degree Celsius slurry that serves as a refrigerant. Photo Credit: Rebound. Engineer Luke Erickson, CEO Kevin Davis and CTO Russell Muren. The system then takes advantage of waste heat from the host facility to power a distillation process, which separates the suppressant from the icy slurry so both substances are ready to be used all over again. Rebound’s technology eliminates the need to have a freezer compressor running around the clock, thus cutting energy use by 40 percent. Additional savings are realized through load-shifting, for an estimated three-year payback. Rebound is part of EEx’s 2015 go-to-market track, where it’s working to refine its business model and attract its first customers. Also, while companies on the mainland generally want third-party validation or external testing. Hawaii’s unique set of circumstances make it an appealing market. “In Hawaii, people aren’t saying, ‘Let’s try this without due diligence,’ but they are far more likely to support you,” Davis added. With that said, Rebound is negotiating to launch its first demonstration at a Colorado supermarket. The company has also applied for a $750,000 grant from the National Science Foundation, which, if approved, will go toward building a full-scale IcePoint unit at Southern California Edison’s thermal test center in Los Angeles. Energy has always been an important topic for Arcady Sosinov, who was born near Chernobyl two months before the nuclear disaster there in 1986. After working several years at a hedge fund in Boston, he decided to get into the energy business. Sosinov’s company, called FreeWire, repurposes advanced lithium-ion batteries into mobile energy storage systems, working directly with car companies like BMW and grid storage companies such as AES. 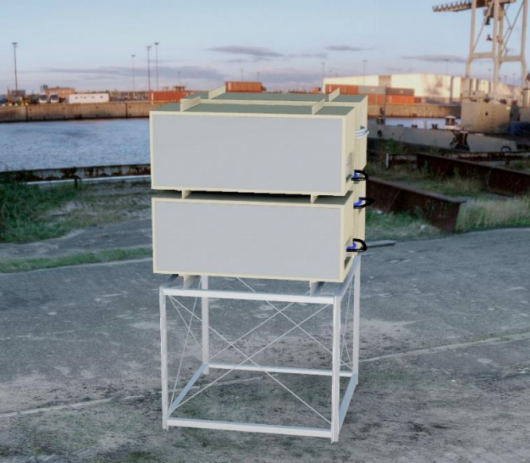 FreeWire has also built a technology-neutral battery management system in partnership with Siemens. According to Sosinov, his second-life batteries are one-sixth the cost of new battery packs, which puts them in the neighborhood of $100 per kilowatt-hour. “These are prices no one else can touch,” he said. FreeWire’s showcase product is a mobile electric-vehicle charging system that utilizes cheap electricity at night, then is wheeled around to charge vehicles during the day -- eliminating the need for permitting or putting expensive infrastructure underground. The 48-kilowatt-hour system can generally support six EVs on a single charge, or fully charge two Nissan Leafs. Photo Credit: FreeWire. 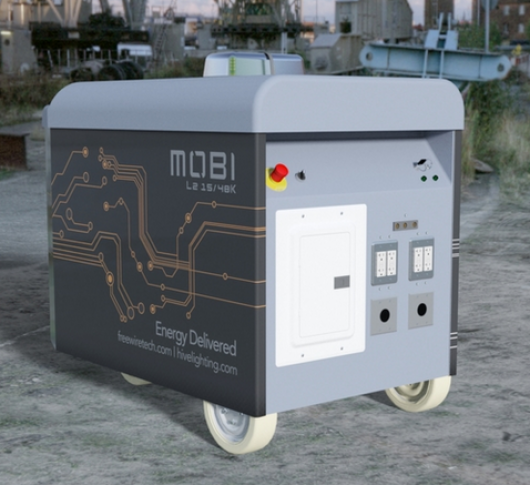 The Mobi Gen could replace millions of diesel generators. FreeWire is currently working with HEI to deploy its EV charging systems at airports with a $500,000 grant via Energy Excelerator. As part of project, HEI will also test the integration of demand response with EV-charging systems. Other companies have already coupled EV chargers with stationary batteries so that vehicles can charge off-peak. FreeWire’s advantage is that it combines these two functions into one unit, serving as a single, flexible resource for utilities. While the company’s mobile electric-vehicle charger has some interesting applications, the most immediate money-maker lies in replacing the millions of diesel generators used around the world, said Sosinov. Its core unit, called the Mobi Gen, is designed to do just that. The Mobi Gen has 40 kilowatt-hours of batteries on board, and they last for 3 hours at full power. But the unit lasts much longer in practice, powering film-set lights for 15 hours or power tools for several days. There are several advantages over a traditional diesel generator, said Sosinov. Mobi Gen is two-thirds the size, it’s whisper quiet, emissions-free and it produces a pure sine wave, so that power flows smoothly. Diesel generators, in contrast, can produce power that’s choppy and degrades equipment over time. In addition to the EEx grant, FreeWire has raised $425,000 in angel funding and currently has $627,000 in contracted revenue, according to Sosinov. The company is now in the midst of raising a $3 million round, expected to close by the end of September. Improvements in balance-of-system costs are crucial for driving down the overall cost of solar PV. That's an area that ConnectDER is targeting. The company has developed a collar that plugs into a standard electric meter socket, creating a standardized interconnection and cutting down on wiring. 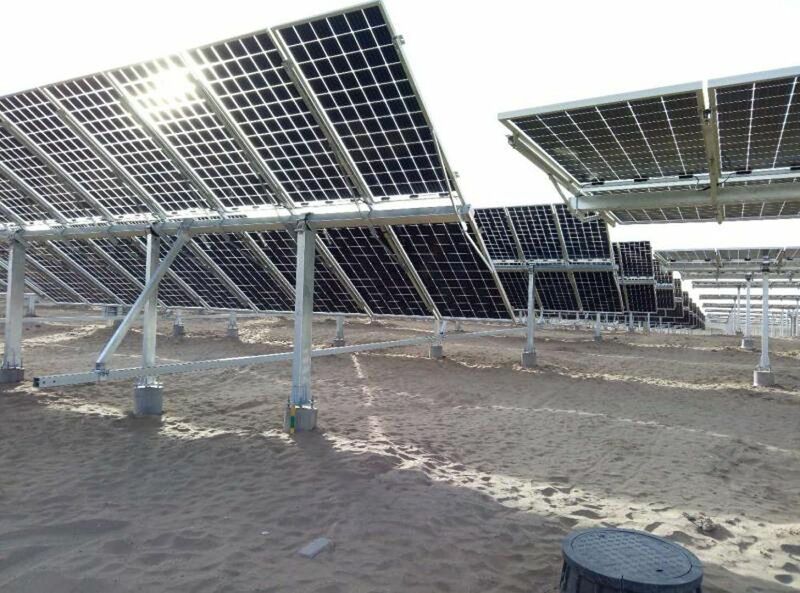 The device also gives the customer and the utility visibility into the PV system's production through an embedded revenue-grade feeder. This enables utilities to monitor -- and perhaps control -- PV assets in order to balance the grid. 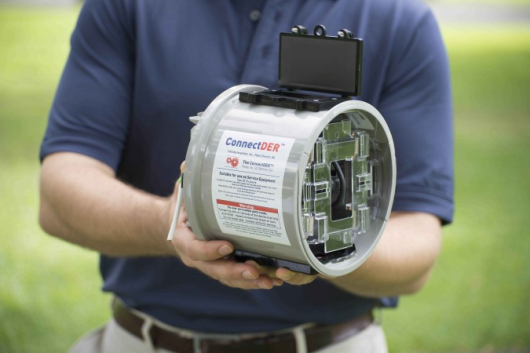 Since the device bypasses the home’s distribution panel and reduce the need for wiring upgrades, ConnectDER says it will save $2,500 per installation. In cases where underground service would need to be upgraded, the plug-and-play solar connector could save as much as $12,000. Photo Credit: ConnectDER. An asset for both solar installers and utilities. 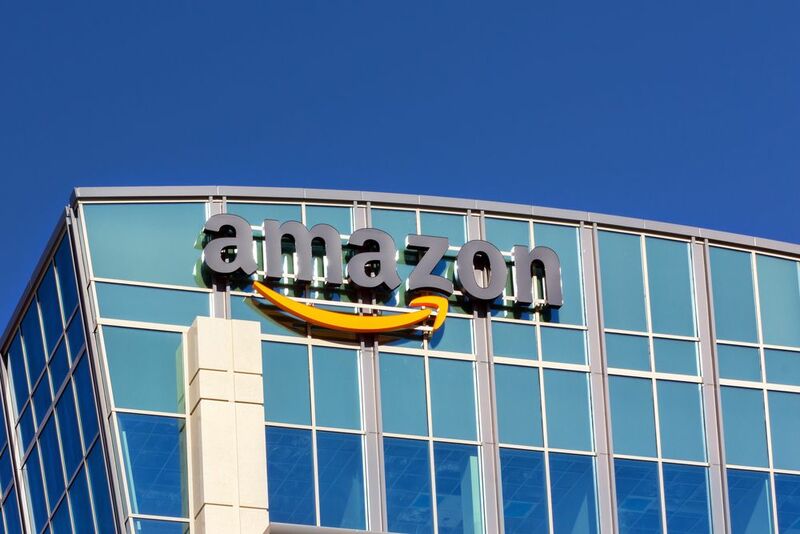 Who owns the ConnectDER is likely to vary based on location, said CEO Whit Fulton. At a cost of $400 per unit, the device guarantees savings for solar PV installers, and gives them an incentive to install a local grid asset manager with every PV project. But in some places, the utility may choose to purchase the device (which is sold to them at a higher, undisclosed price) and then charge solar installers to use it. Green Mountain Power has adopted this model with ConnectDER’s units in Vermont. ConnectDER has raised a total of $850,000 over two rounds of incubator funding, including a grant from the Energy Department’s SunShot Initiative. Through EEx, ConnectDER is working with HEI to deploy 150 devices for residential PV systems on one utility feeder line. The company plans to install a total of 2,000 devices around the country by year’s end. Uninterruptible power systems (UPS) keep critical facilities like hospitals and data centers running when the grid goes down. But they do nothing when the grid is working well. Go Electric thinks that a UPS can do a lot more. The Lync is a behind-the-meter device, but it’s also equipped with software that allows utilities to tap into a facility’s energy resources to help the grid stay stable -- and to compensate the equipment owners for that usage. Typical demand-response providers shed load by turning things off, whereas Go Electric’s technology keeps everything running but auto-islands the entire building to reduce pressure on the grid. Photo Credit: Go Electric. The Lync technology. “We’ve basically turned an expensive piece equipment that rarely gets utilized into a piece of equipment that gets utilized all the time, and actually earns income for the facility that owns it,” she said. 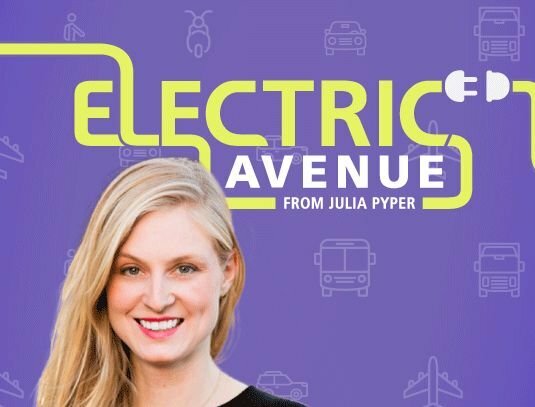 Go Electric has been refining its business model through EEx’s go-to-market track, but has already attracted several customers. Last year, the startup won a $3 million contract to deploy its products on a 3.5-megawatt microgrid at Camp Smith, a Marine Corps base in Hawaii. 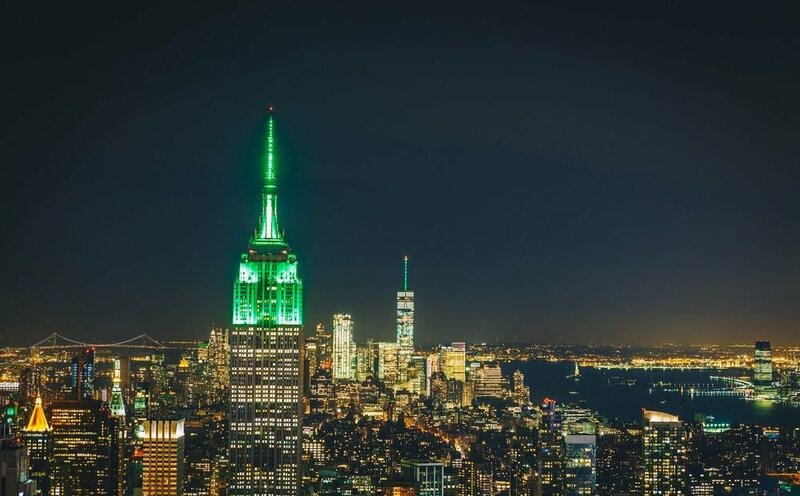 Go Electric was selected by the RISE:NYC program to install 340 kilowatts' worth of its systems on four buildings next year. The startup has also filed a proposal with HEI to participate in its demand-response program, and is currently awaiting the outcome. According to Olin Lagon, water heaters are the key to deploying greater amounts of renewable energy on the grid. Lagon’s Hawaii-based startup Shifted Energy makes what he calls “grid-interactive water heaters.” The technology creates a virtual power plant of electric water heaters that stores surplus renewable energy and delivers demand response, while ensuring that customers also have hot water whenever they need it. 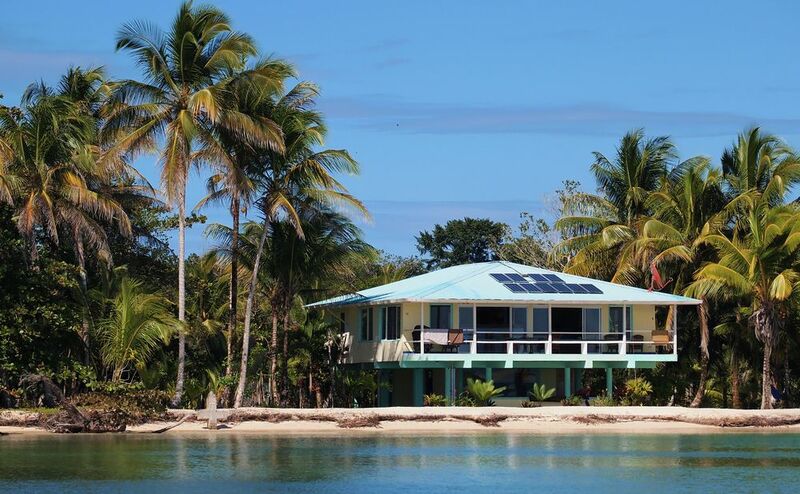 By installing Shifted Energy’s controllers and software on 100 water heaters, the systems can consume 1 megawatt of excess clean energy every single day, Lagon added. This will help bring more renewable energy on the grid without needing to install expensive battery storage. That's important for a market like Hawaii, where the grid is already saturated with solar. Photo Credit: Shifted Energy. Olin Lagon and Operations Director Nicole Brodie. Shifted Energy is one of the companies that has made the leap from EEx’s go-to-market track to the deployment track. The startup has raised about $1 million in seed funding and is looking to ramp up to a Series A round. But right now, the company’s primary focus isn’t fundraising or marketing -- it’s getting projects done right, said Lagon. Shifted Energy is currently working with HEI as part of its Integrated Demand Response Portfolio to deploy 500 grid-interactive water heaters in Maui and Oahu in the coming months. This is an enormous increase from the 100 devices the company has deployed so far.